Why Do You Need to Plan Your Retirement with Annuities Now? 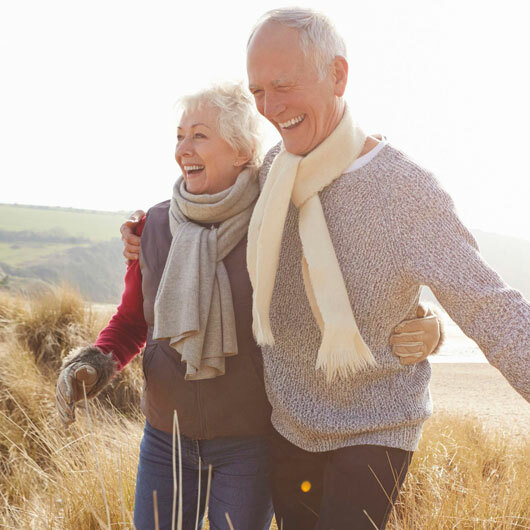 Have you already decided where and how you are going to spend your life after retirement? If not, we are here to help you with the right solution to meet your income needs and spend a comfortable retirement life. An annuity is such a solution that provides the beneficiary a guaranteed income at regular intervals. However, understanding the different types of annuities existing and choosing the best annuity insurance may be a tough task for many. Here, we are talking about the advantages of annuities as well as the limitations it brings. Annuities help you with a series of payment at fixed intervals so that you can take care of daily expenses after retirement. These are tax-deferred retirement plans and don’t require you pay any taxes on the savings. Moreover, there is no such annual contribution limit and you can contribute how much money you need for your life after retirement. The value of a particular amount of money may not be same after 5 or 10 years as the inflation rises every year. There are different annuities plans that provide an increase in value to your account for the inflation rising every year. Such plans greatly help while planning your budget to spend a comfortable retirement life. If you are interested in investing and benefitting from the movements of the share market, there are annuities plans for that as well. Such annuities are called investment-linked annuities where total payable income varies as per the performance of stock market. However, it carries a risk but you can go with this if you can afford the performance fluctuations in the market. Even if you fall unwell or go through a treatment, there are annuities plans to help. These specifically tailored annuities take care of your medical expenses and pay out an amount much higher than the standard annuities. Different providers offer a different percentage of increase that can go up to 65%. Lots of insurance brokers are involved in selling the annuities to people reaching their retirement or have already retired. These brokers charge a certain percentage of investment as a commission for their services which may range from 2% to 10%. If you are planning to buy an annuity life insurance, we suggest you to directly contact the insurance provider and escape the unnecessary commission charges. Many insurance providers put a limit on when you can withdraw your annuity amount. Generally, this limit is set for 7 years and if you withdraw your annuity amount within 7 years of buying the policy, you may have to deposit a surrender charge. Usually, the surrender for the first year is 7% that decreases by 1% every year and ultimately becomes zero in the seventh year. If you have bought the annuity to make use in your retirement it’s suggested not to withdraw it before the maturity until it’s too urgent. In variable annuities, the investors may have to pay high annuity charges. If you have opted such an annuity, you may have to pay annual insurance charge that may be 1.25 of the money invested or more and investment management charges from 0.5% to 2%. Also, there are insurance riders’ charges that can make your deposit lesser by another 0.6%.